If you’ve ever been saltwater fishing then you know you need a reel that can withstand some serious pulling. You have an idea of what kind of fish you plan on catching but you never really know what might think your lure or bait looks appetizing. You need to make sure that you have a reel that can withstand a rigorous fight and come out on top time and time again. Not only that, but you also need to make sure that your reel is capable of getting covered in saltwater and not corrode or rust, this is why you need to make sure you find the top saltwater spinning reel reviews to make sure you have an idea fo what you’re buying before you make the purchase. Making sure your reel stays in working condition is vital to the overall success of a fishing trip. If you bring equipment that isn’t serviceable you can expect for unwanted outcomes to happen. There nothing worse than having that trophy fish on the line only to have something catastrophic happen like the reel seizing up or like drag going out. 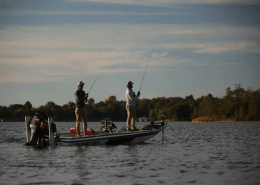 Purchasing a good saltwater reel that’s built to last will help give you the peace of mind needed to know the only fight you’ll have on your hands will be between you and the fish. 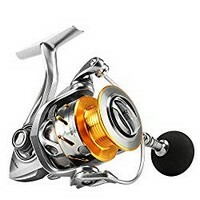 If you’re in need of a saltwater fishing reel you’re in luck, we’ve put together one of the best saltwater fishing reel reviews. Here’s our list of some of the top saltwater spinning reels for the money in 2019. KastKing’s new Sharky III Fishing Reel features an innovative design created to handle the fresh and saltwater fishing needs of even the most ambitious angler. With a stainless-steel main shaft, a reinforced graphite body, and precision mesh manganese brass pinion gears, the Sharky III is strong yet lightweight. It comes with 18 kg/39.5 lb. triple disc carbon fiber drag, making it capable of landing sizeable fish. You also won’t need an extra backing line when using braid fishing line, because the reel has an aluminum spool that is Shark Fin Braid Ready and is 10 + 1 quality. 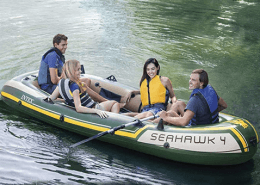 And, on top of these smart features, the Sharky III includes anti-corrosion technology. 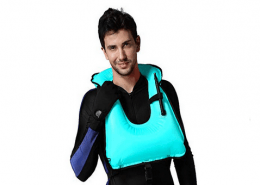 It is well-equipped for intense saltwater fishing, and includes K.I.S.S. (KastKing Intrusion Shield System) as an added layer of protection from salt, water, and other corrosive elements. In addition, the Sharky III boasts double-shielded stainless-steel ball bearings and an instant anti-reverse lock feature. It is also able to hold more line than other reels of a similar size. Finally, all Sharky III reels come with a one-year warranty. 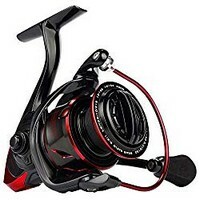 For anglers looking for a strong and adaptable reel that will stand the test of time, the Sharky III is a must to consider when looking for saltwater spinning reels. If you’re looking for a smooth, durable reel for surf-casting and jigging, the HaiBo Saltwater Spinning Reel is a solid choice. The reel was designed specifically for these types of fishing, and comes with features designed to maximize performance and durability. Every saltwater angler knows that corrosion can cause serious damage and take years off the life of a reel. This reel is prepared. 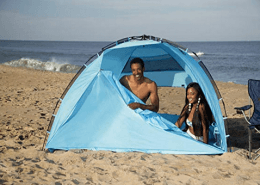 It’s made with corrosion-resistant technology, allowing it to withstand the rigors of saltwater fishing. It also has Dura-Drag and a drag system that’s mechanically sealed, protecting it from elements like salt, sand, dirt, and water. In addition, it contains an anti-reverse system and six stainless-steel ball bearings that are also corrosion-resistant. When it comes to fighting fish, this reel is powerful. Its body is full metal and made of one solid piece, giving it strength. Its long wheelbase design spool is built to reel in the big one, and has a maximum drag of 28 kg/61.7 lbs. An aluminum bail and side plate built to maintain gear alignment under heavy stress are additional assets. Whether you’re fishing in heavy duty surf from the beach or jigging from your boat, you won’t go wrong with the HaiBo Saltwater Spinning Reel. For anglers searching for a versatile reel, look no further than the SeaKnight Rapid. It’s full of features that make it durable and perfect for both inshore and saltwater fishing. With its sturdy shaft, robust reel, and solid spool, the Rapid is ready to land you your next prized fish. The Rapid comes with an advanced anti-corrosion coating and a sealed aluminum spool and rotor, providing increased protection from the elements. 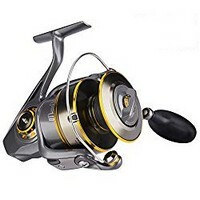 Its shielded, 10 + 1 stainless-steel ball bearings are designed to prevent water, dirt, and sand from penetrating the gearing, further ensuring that the reel is built to last. 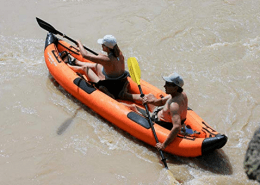 Yet while the Rapid is versatile, it will also effectively assist you while you’re fighting big fish. It comes with a carbon fiber drag system equipped with a 15 kg/33 lb. drag that you can rely on, regardless if you’re inshore, on a lake, or fishing a reef. Its reel is smooth, and won’t hinder you from efficiently reeling in your catch making it one of the best saltwater spinning reel under 100. It has a 6.2:1 gear ratio that’s ready to tackle each and every challenge you present. 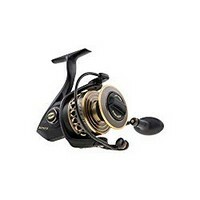 The Rapid is one of the best-selling reels of its kind on the market and is a great value. It’s not hard to see why. When you are miles offshore locked in a battle with a big saltwater gamefish, you can’t afford to be wondering whether your reel will hold up to the test. The Penn Battle II was designed for anglers looking to land heavy saltwater fish. It’s durable, powerful, and smooth. 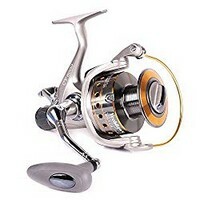 This reel’s metal body is built to last, capable of withstanding years of use and corrosion while remaining effective. It is ready to take on any fish you hook. It comes with a sturdy aluminum bail wire, sideplate, and rotor. In addition, its HT-100 carbon fiber drag system is top-of-the-line, capable of implementing serious drag that’s also smooth. Another of the Penn Battle II’s best features is its ball bearings, which are all stainless steel. The reel’s fluid cranking system also comes with anti-reverse bearings. It also comes with a superline spool. The spool is specially equipped with a rubber gasket, stopping it from slipping when you’re in the middle of fighting a big fish. Finally, its line capacity rings are marked, so you’ll always know how much braided fishing line you have left to work with. The marks are inscribed at 1/3, 2/3, and full capacity. When you’re reeling in the big one, you’ll want the Penn Battle II by your side, it’s one of the best light saltwater spinning reels on the market. If you spend time fishing in both fresh and salt water, the Yoshikawa Baitfeeder Spinning Reel was built for you. Whether you’re fishing from a familiar dock on a mountain lake, from your canoe on a river, or over a wreck several miles offshore, this reel is ready to take on any fish you land. It’s adaptable, durable, and built to last. It comes with a stainless-steel shaft, a TITAN graphite construction side plate, and an aluminum spool. Its aluminum handle is also interchangeable and can be adjusted for right and left-hand users, adding to its versatility. With this reel, you won’t have to worry about running out of line, either. It comes in four different sizes. 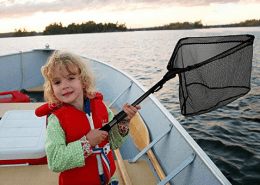 The smallest is size 3000, which is a solid medium-size reel. The largest is size 6000, which will perform admirably when you hook a trophy fish. Each comes with 10 + 1 corrosion-free ball bearings and a 5.5:1 gear ratio. It also comes standard with a solid multi-disk drag system, as well as a free-spool mode that doesn’t require you to open the bail to achieve free-running line. 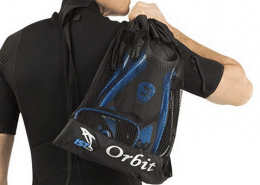 This will protect your gears and make your job of landing the fish easier. 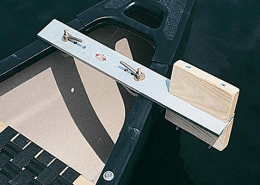 The Yokishawa bait-feeder performs well under pressure. You won’t be disappointed.